Psoriasis is a chronic inflammatory skin disease characterized by the presence of red lesions, well-demarcated and scaly, which can occur anywhere in the body. 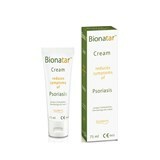 Bionatar is a brand created by Boderm Laboratories that provides specially formulated skin cares for the relief and treatment of symptoms of psoriasis or seborrheic dermatitis. 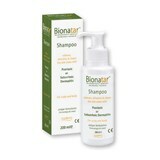 A brand expert in the care and health of the skin, Bionatar offers undeniable quality and reliable care.